Still remember those narrow lanes of old Delhi and the authentic, finger licking “Aloo Tikki Chaat” that one can find on the road side eatery. This inspired me to try this recipe out in the comfort of my own kitchen. Aloo tikki is a potato patty or cutlet made with boiled potatoes and few spices. It is served with chickpea curry and yoghurt topped with mint-coriander, tamarind / Imli chutneys. You can further try your hand by stuffing these potato based tikkies with peas or nuts like cashew and raisins. Stuffing varies as per region but the common among all is that, these are always served hot and crispy. These aloo tikki / potato patties also make perfect fillet between sandwich or burger. 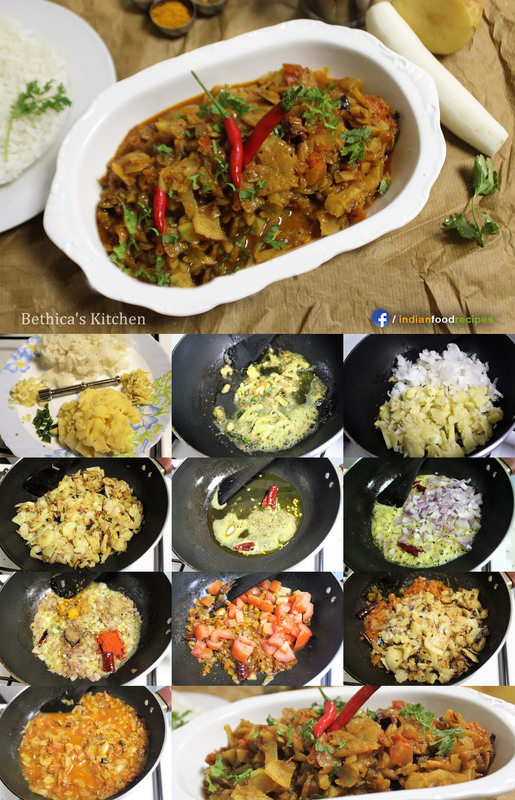 Continue reading for the detailed “step by step recipe of Aloo Tikki Chaat”. Delhi style Aloo tikki is a potato patty or cutlet made with boiled potatoes and few spices. 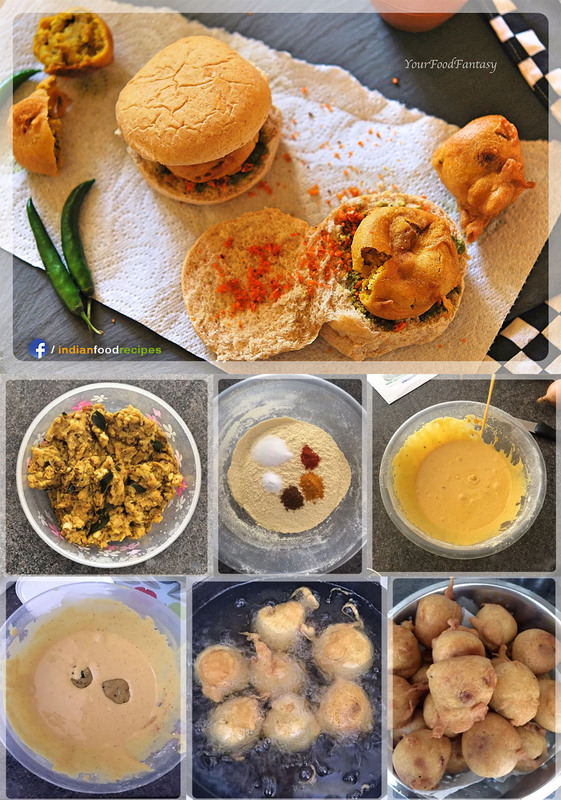 Aloo Tikki Chaat Potato Tikki recipe step by step pictures. Heat a kadai / pan on medium heat and add asafoetida and cumin seeds. Once they crackle, add chopped onion and sauté till golden brown. Now add all the spices and sauté again for a minute and add chopped tomatoes. Cook them till it starts leaving oil. 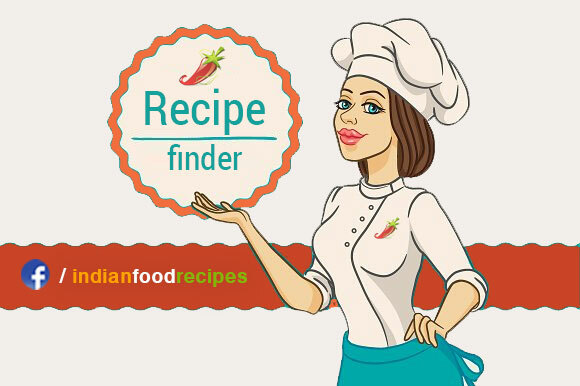 Add boiled chickpeas to the cooked masala and add 1 cup of water. Put the lid on and let it boil on high heat. Once you get the first boil, reduce the heat and let it simmer for 8-10 minutes. Switch off the heat once the Chole gets to thicken. Keep aside and let them cool. These Chole are different from the “Punjabi Chole“, in how its prepared. In a mixing bowl, take mashed potatoes and add all the spices. Mix the potatoes mixture well and divide the mixture into 12 equal portions and make patty out of it. Heat an iron tava or skillet on high heat and add oil. Put the tikki gently in the oil. Cook till bottom side is brown and crispy. Once cooked, flip the tikki using spatula and let it get brown other side as well. Shift tikki to the edge of tava so that they remain hot. In case you using a small pan, take them out in a plate and reheat them once again just before serving. Repeat this process for rest of tikki. 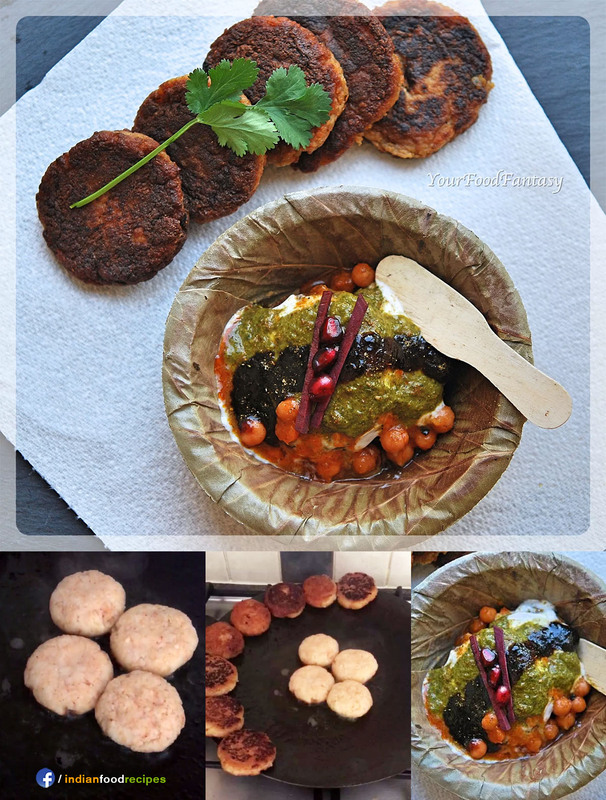 How to Plate: Place two aloo tikki in a plate and pour 2 tablespoon chole. Spread 2 tablespoon of yogurt and then pour 1 tablespoon each of mint coriander chutney and tamarind/Imli chutney. Garnish with a sprinkle of chaat Masala and roasted Cumin powder. I have not added any binding agent to the potato mixture. However if you find any problem in binding the potato mixture, add 1 tablespoon of cornflour / breadcrumbs to it. Do not fry Tikki on low heat as they will not be as crispy and soak excess oil. 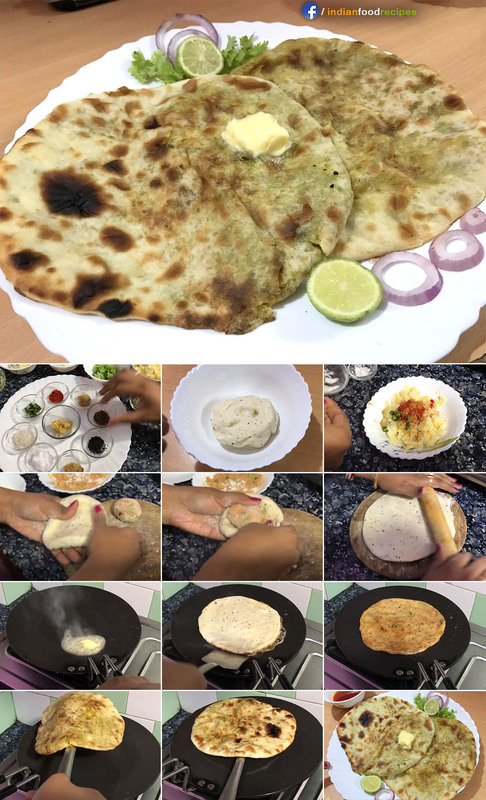 You can use non stick tawa / pan in case you don’t have iron ones. This way tikki will require less amount of oil too. You can comment and rate this recipe below.